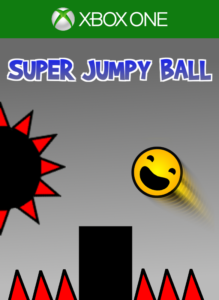 Super Jumpy Ball gets a well deserved addition with 5 new levels making it a total for 34 levels. v1.2.0 also include some important updates that makes the ball even easier to control especially when rolling of edges. The endless game mode has also received some attention with more variation, I’ll will try to add even more in future updates. Thanks everyone for the amazing reviews, it’s a very good way to get feedback and it ensures that I’ve adding new levels that you actually like. I’ve received feedback that you wanted harder levels and that has been the focus for this update. The new levels are already available on Android and Windows Store and Xbox One. Several people have also contacted me about an IOS version and no worries I’m working on but I don’t have a set date yet when it will be out. PS Don’t forget to review the game and write what you would like to see in the future. We already have a suggestion to add a magnet. We’ll try to add as many requests as possible. Please spread the word about this game to your friends and family, every new person who plays this games makes me very happy.